I have worked on this demo for quite a while. 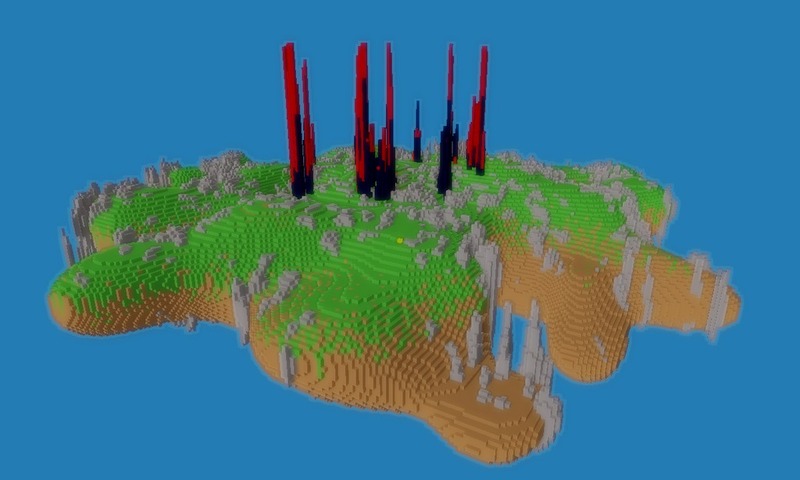 The initial plan was to do a voxel based multiplayer shooter. It didn't turn out to be all that much fun (the movement is clunky and blowing stuff up doesn't provide too much lasting entertainment). So rather than just leaving it all to rot in a dark corner on my disk I decided to just release my prototype as it is. I gave a 30 minute talk on some of the things in this demo at the super awesome ongamestart conference in Poland. I pushed the source code of this demo to github.